Rhubarb is a much misunderstood fruit even though it has many health benefits. Because it doesn't look like a fruit and tastes very bitter, it has had limited popularity, but I think it deserves to be rediscovered, even if only seasonally. 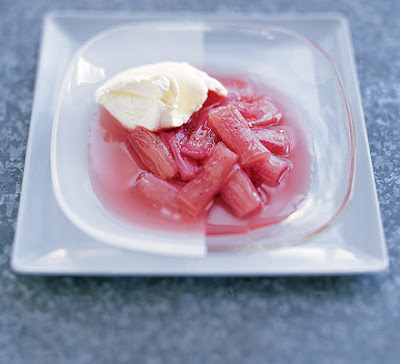 Rhubarb can be surprisingly tasty as you will see in the recipes I give you today. The other problem with rhubarb is that people don't really know how to prepare it. It really is very simple. You just cut of the leaves (these are poisonous) and the bottom of the stalk, then chop the stalks into small pieces. Some people peel the rhubarb but I find if you chop it small enough this isn't necessary. This is really just stewed fruit. Since rhubarb is bitter it does need to be cooked with some kind of sweetener. Cold, with a dollop of whipped cream it makes a nice simple yet refreshing dessert. - 1 cup of maple syrup or honey. 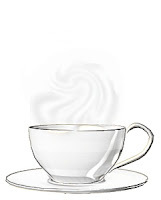 You can also use coconut sugar or any other sweetener or your choice. 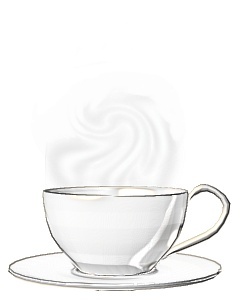 - Fit a steamer basket into a large pot and put an inch of water on the bottom. Put in your chopped rhubarb, cover with a lid. And steam for about 10 minutes. Check and see if it is soft. If not, put in some more water if needed and steam for a few minutes longer. - When the rhubarb is soft, remove the steamer basket and put the rhubarb back into the pot into the water. Add more if needed so the bottom of the pan is covered by about 1/2 and inch of liquid. - Add the rest of the ingredients and cook on medium heat stirring occasionally until the rhubarb is completely soft and falling apart. A "fool" is a century's old English classic dessert made by folding in pureed fruit with whipped cream. Because rhubarb is abundant in the spring this is often served as an April fool's day dessert. 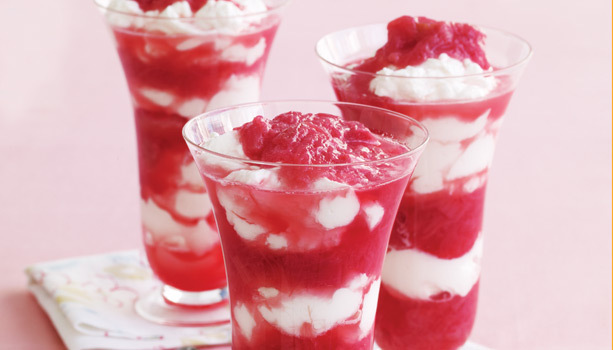 - Layer into a parfait or wine glass, alternating rhubarb compote layers with cream layers. 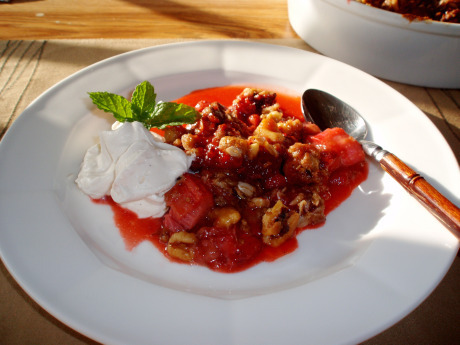 Crumble is traditionally made with oatmeal for crunch, but using ground nuts is a much more delicious an alternative. - Preheat oven to 350'F. - In a large bowl mix the rhubarb and strawberries with the sweetener. Pour this mixture into a greased baking dish. - In a smaller bowl mix the chopped nuts, melted butter, sweetener and spices. Spread this topping evenly over the fruit. - Bake for 1 hour. (will freeze) Because the topping is made with nuts and not oatmeal, it stays crunchy even when reheated from the freezer. Finally here is a different salsa version to try. 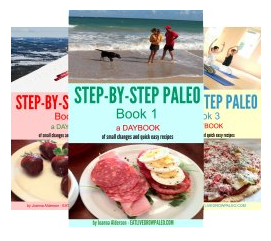 It's a combination of several different recipes I found and works very well as a side salad with cooked fish, meat or chicken as well as on it's own with a few naco chips on your treat day. 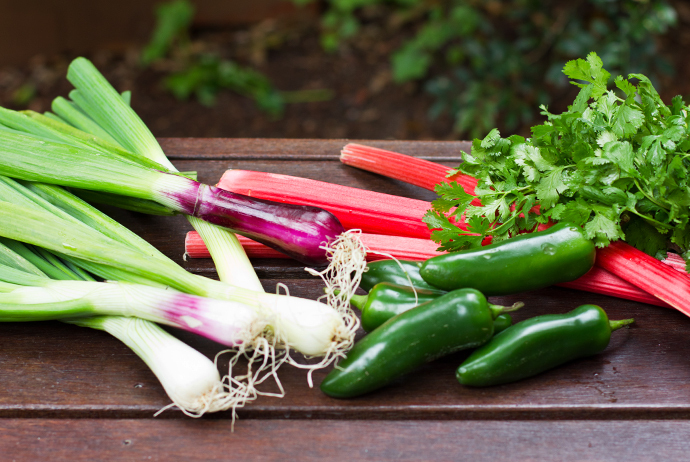 - Bring a pot of water to a boil over medium heat and stir in the rhubarb, simmering for 2 minutes to blanch. Drain in a colander set in the sink, and leave to cool. 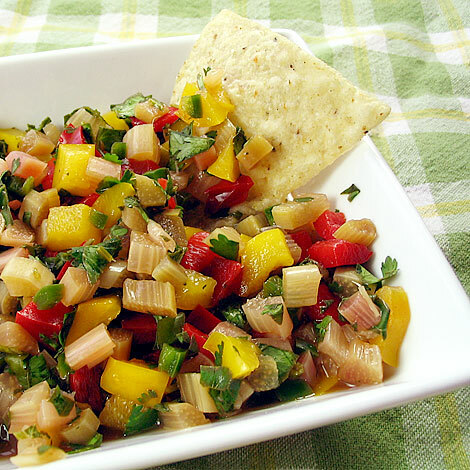 - Stir together the cooled rhubarb, apple, green onions, lime juice, honey, and jalapeno pepper until thoroughly combined. Thanks for this. 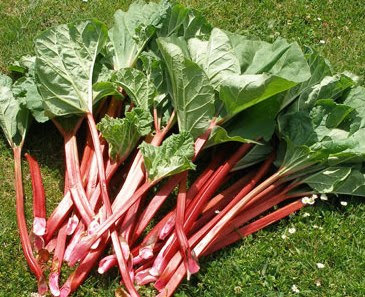 We have loads of rhubarb in our garden - lots of great ideas here!